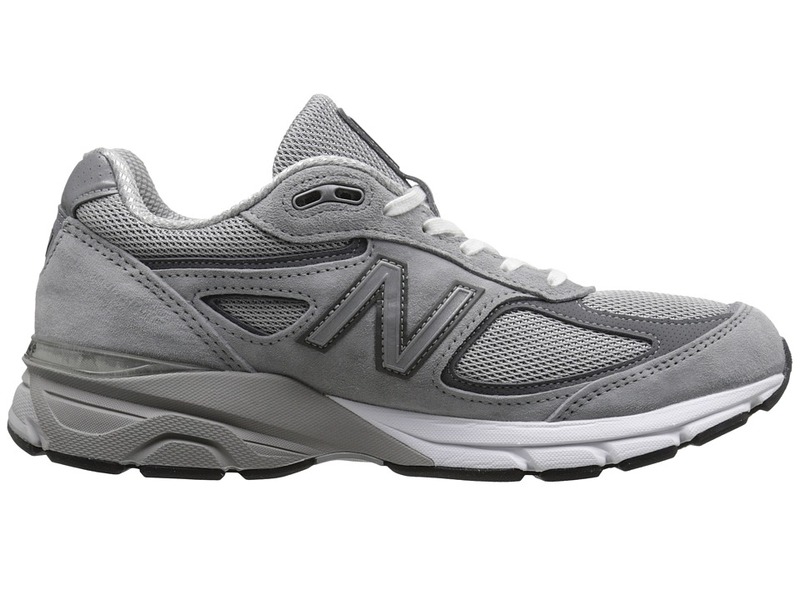 An ideal blend of cushioning and stability set the foundation for the latest iteration of an American classic. 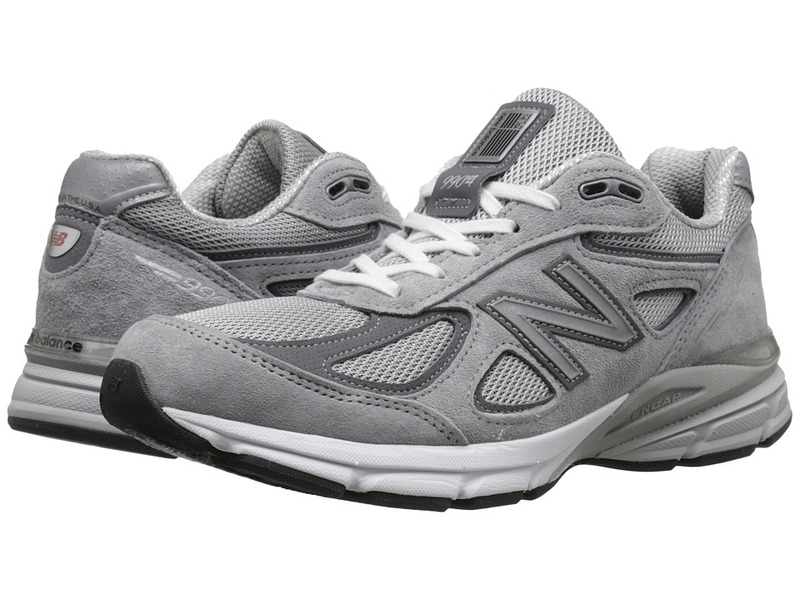 The New Balance M990V4 boasts dynamic performance wrapped in a timeless silhouette to carry you mile after mile in uncompromising comfort. ; Predecessor: M990V3. ; Support Type: Overpronation/Stability. ; Cushioning: High energizing cushioning. ; Surface: Road. ; Differential: 12 mm. 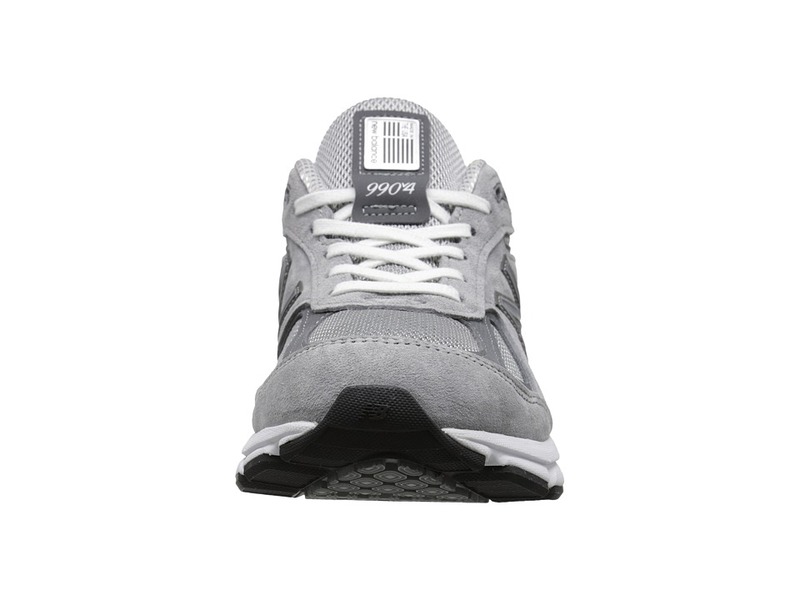 ; Breathable mesh and pigskin leather upper materials. ; Lace-up closure. ; Plush tongue and dual-density foam collar. 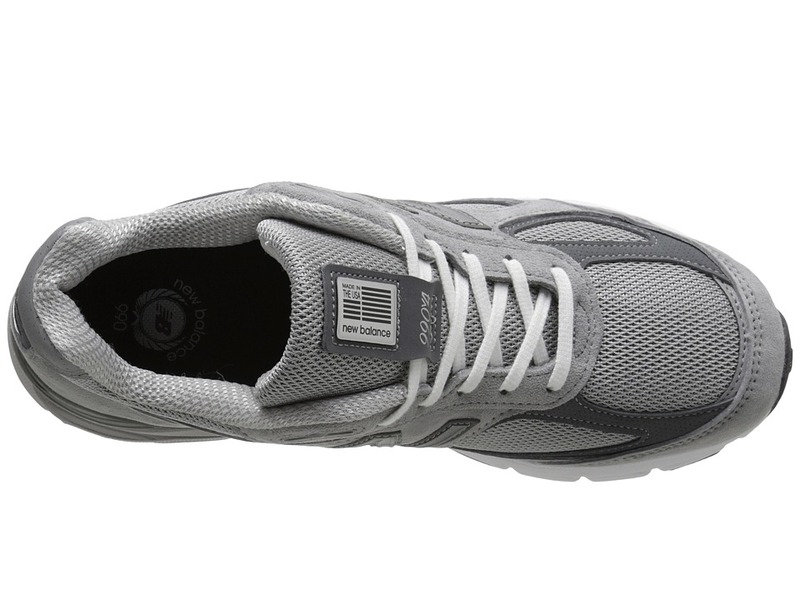 ; Breathable fabric lining offers a great in-shoe feel. 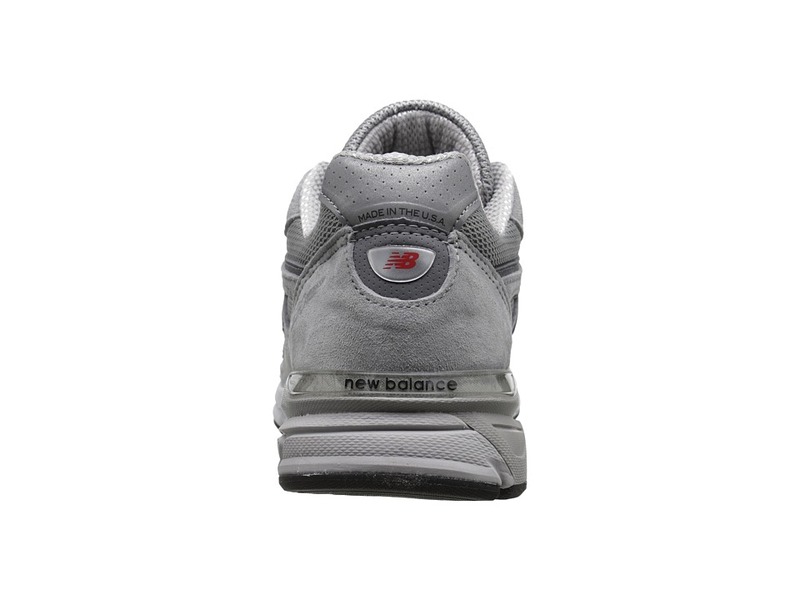 ; Removable foam insole. ; ENCAP PU ring with EVA core wraps the lateral mid-foot through the heel, and around the medial mid-foot for enhanced stability. 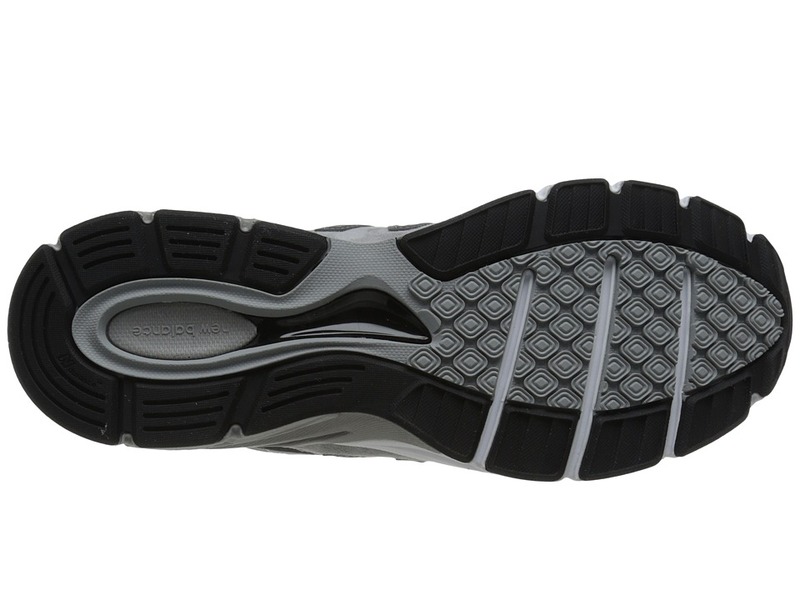 ; Blown rubber outsole. ; Made in the U.S.A. from imported materials. Measurements: ; Weight: 13 oz ; Product measurements were taken using size 8, width B – Narrow. Please note that measurements may vary by size. 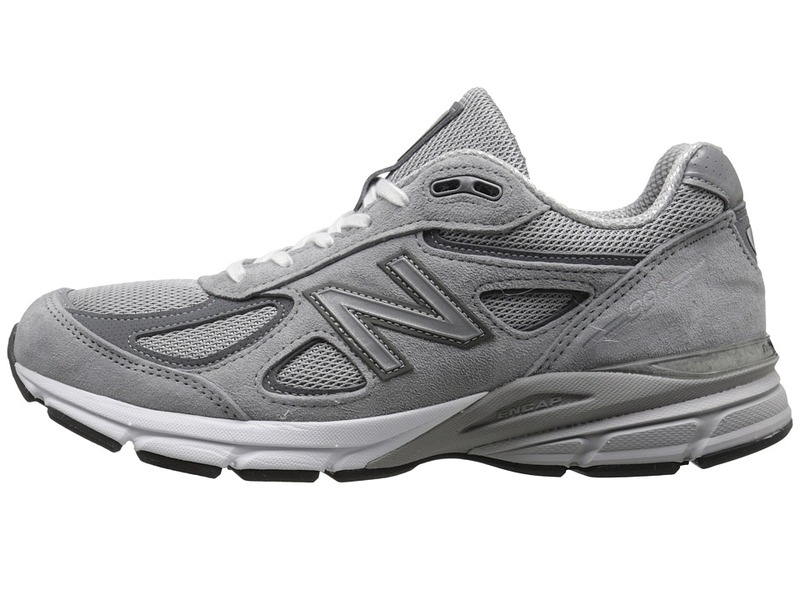 Be the first to review “New Balance M990V4 Men’s Shoes” Click here to cancel reply.